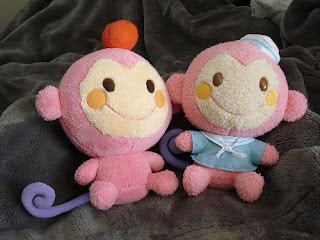 Chi Chai Monchan is a pink monkey from Sanrio (Hello Kitty's company). He is: "A fun-loving little boy monkey with a whirly-curly tail, Chi Chai Monchan lives on a small tropical island in the South Seas where he spends his days climbing trees and eating bananas." Also, Charmmy Kitty, Hello Kitty's pet cat (I know, right?) is much cuter than her owner (who is getting old, at 35 this year)! 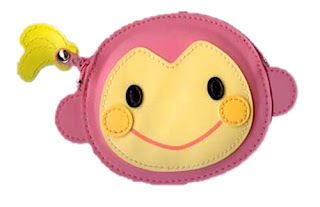 I think I love all things Sanrio - who couldn't love a pink monkey!